One of the Wisconsin Legislature's nonpartisan lawyers says Democratic Gov. Tony Evers can't legally order Democratic Attorney General Josh Kaul to withdraw from a multi-state lawsuit to overturn the Affordable Care Act. The analysis from the Legislative Reference Bureau was provided Wednesday in response to a request from state Senate Majority Leader Scott Fitzgerald, R-Juneau. It came a day after Evers ordered Kaul to withdraw from the case, a step both men campaigned on extensively in the run-up to the 2018 election. The lawsuit was initiated by former Republican Attorney General Brad Schimel last year with the authorization of former Republican Gov. Scott Walker. 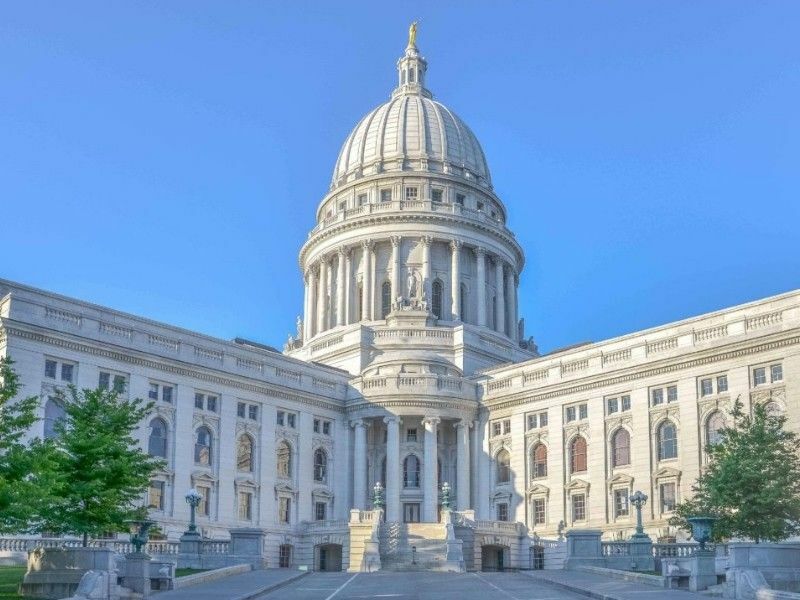 Evers sent a letter to Kaul on Tuesday stating he was withdrawing that authorization, a move that he highlighted during his first State of the State address. But a law Republicans passed in December's lame-duck session gave the Legislature's Joint Finance Committee the final authority over whether to withdraw from such lawsuits. That committee is currently controlled by a 12-4 Republican majority. Legislative Reference Bureau attorney Sarah Walkenhorst highlighted that change in her memo to Fitzgerald. "There is thus no provision in (the law) allowing the governor to request, require, or approve the attorney general to compromise or discontinue an action," Walkenhorst wrote. It remains to be seen whether Kaul will follow the direction of Evers and drop the ACA lawsuit. Kaul's office didn't respond to a request for comment. Evers said Wednesday he would "obey the law as it exists," but that he needed to inform the attorney general of his desire to get out of the lawsuit. "It's in the hands of the attorney general now and how that plays out, we’ll see," Evers told reporters in Eau Claire. While the governor's speech Tuesday said he was "directing" Kaul to withdraw from the lawsuit, Evers spokeswoman Melissa Baldauff said Wednesday that the governor wasn't ordering Kaul to do anything. "The governor has not directed the attorney general to take any specific course of action, he has simply withdrawn his authority for this lawsuit," Baldauff said. Howard Schweber, University of Wisconsin-Madison political science professor, said it could be up to the judicial system to decide the dispute. "The governor is directly challenging the Legislature's authority on this," Schweber wrote in an email. "The question will have to be decided by the courts as a matter of separation of powers under the state constitution." The federal judge in the ACA lawsuit ruled last month that the entire law was unconstitutional, although that ruling has been put on hold while the case is appealed.